Hybrid mobile apps have come a long way, but native mobile apps are often seen as the “gold standard” of mobile apps. As actual downloaded software they offer more functionality than the current breed of hybrids. There are even times when they’re the only practical option for an app. User experience is growing in importance, and native apps definitely deliver in that area. Still, there are limitations to be aware of before investing in native. A “native mobile app” is built for a specific platform (Android, iOS, or Blackberry) using that device’s specific programming language. iOS relies on Objective-C or Swift, for example, while Android favors Java and Blackberry uses C++. These apps are downloaded from an app store or another hosting location and live on individual devices. Native apps have a lot of advantages over other formats. Because they’re written for a specific device, native apps have none of the compromises developers have to make when building hybrid apps. They open faster, handle data-intensive or complex functions well, and generally have superior performance. Native apps can potentially access all a device’s functions, whether they’re hardware or other apps. This includes the camera, microphone, flash, compass, accelerometer, gyroscope, calendar, alarms, phone book, and any other feature the user allows. They also offer push notifications. With up to a 65% open rate, push notifications are incredibly useful for keeping users engaged with an app. Hybrid apps can reach more device functions than ever, but they have structural limitations when it comes to full access. Offline access is in demand, especially in emerging markets and for business travelers. Since they live on a device, native apps have excellent offline potential. Users can access selected functions outside of a coverage area with the assurance that the app will update once the connection is restored. Device specific development means better compatibility, so native apps are less prone to failing. They have a relatively high rate of availability when compared to hybrid or web apps. Reliability, speed, and availability combine to create a high quality user experience. Plus, native apps use familiar device conventions that make navigation and trouble-shooting intuitive for fans of the platform. The first hurdle in enticing users to download an app is helping them find it in the first place. When it’s in the app store, it turns up in searches by customers looking for similar apps. Potential users can view ratings and reviews from current users, which has been shown to increase consumer confidence. There’s also the peace of mind inspired by an app’s presence in the App Store since there are quality guidelines imposed by the App Store itself. Building an app is a significant investment for companies. Native apps have more assurance of long-term vendor support. They offer platform-specific Software Development Kits (SDK) that make development easier and increase the final quality of the app. Stability like this can be a major draw during a hectic digital transformation process. If there are so many advantages to native apps, why aren’t all apps native? There are some unavoidable drawbacks to native apps. Native apps are more expensive to develop and maintain. They have a longer development cycle that needs a team of platform specialists. Because they only work on a single device, companies that choose native must build a different app for each platform they plan to support. This is potentially a serious problem for creators of enterprise apps. Being in the App Store reassures users for a reason. The approval process can be complicated, and there’s no guarantee that an app will be accepted at all. While it’s not an everyday problem, changing guidelines can result in last-minute changes to what was a finished app. Users need to download the app to use it. The average American downloads one or two apps a month, so competition for device space is fierce. When users are working on different devices, app support and customer service become complicated. Despite the higher cost, there are times when only a native app can handle the project at hand. If connectivity expected to be an issue, few hybrid models can match native offline performance. Games and other processing-intensive apps need the better performance of native to provide the kind of user experience that keeps retention rates high. Also, when an app needs to use a lot of specialty hardware features native is the logical choice. That applies to cross-app interactions (when the app needs to access other apps like calendars, alarms, and contacts) as well. At the end of the day, native apps translate into performance. Hybrid apps have many useful applications and there are many use cases where the difference in speed is negligible, but it’s important to know when there’s no substitution for native. After all, the cost of building an app that doesn’t work is always higher than investing in a native app. Trying to decide between a native and hybrid app? Bring your questions to Concepta’s development team. We can provide tailored advice with your specific business goals in mind. Consultations are free, so schedule yours today and take the first step towards a successful release! Data science is a dry term for a surprisingly cool field. When used right it acts like a team of digital detectives, sifting through a company’s data to ferret out inefficiencies and spot opportunities in time to act. “Used right” is the key phrase here. Data science is a complex field, and finding a path to revenue presents a challenge for companies trying to modernize their digital strategy. Sometimes it’s hard to see past the hype to the actual business value of investing in data science. 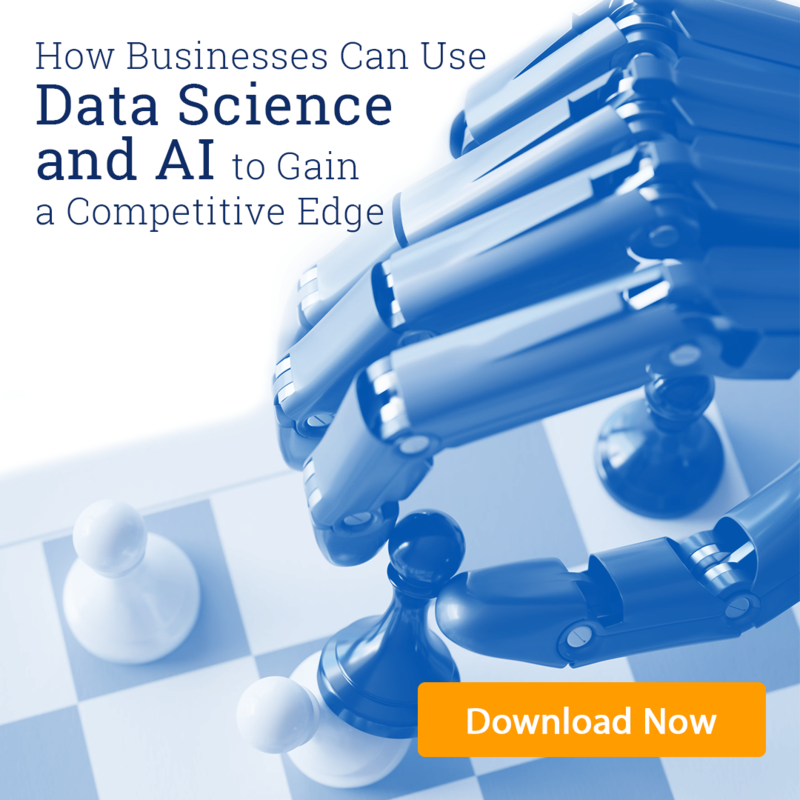 To help cut through the noise, here’s a clear, results-focused look at exactly how data science generates revenue for enterprise. When it comes to marketing campaigns, there’s no such thing as too much data. Over 80% of senior executives want detailed analysis of every campaign, but they often lack the time or data to gain real insight into campaign performance. Data science addresses both those concerns. Artificial intelligence and machine learning methods cut down on the time necessary to process data while better data management provides the fuel to feel analytics. The right combination of data science techniques can help track how campaigns are doing by market and by demographic within that market. This includes information as general as click-through rates to sorting the time spent on a company’s page by the originating site. Armed with this information, marketers can refine the ads they push to each market based on what works, not what should work based on broad demographics. They can even identify customers who failed to convert late in the process. About 70% of these customers will convert after being retargeted. The results are impressive. Using data to guide marketing campaigns leads to a 6% increase in profitability over companies that are reluctant to adopt data science. E-mail optimization is probably the most direct example of data science driving revenue. E-mail is a major source of revenue for enterprise, especially for B2B companies and those that focus on e-commerce. A full 86% of professionals prefer to use e-mail for business correspondence. The same percentage are happy to receive e-mail from their favorite businesses (providing it doesn’t get excessive). More than half of CMOs say increasing engagement is their main concern about e-mail marketing this year, but three quarters of them don’t track what happens after e-mails are sent. Only 23% use data science tools to track e-mail activity. A mere 4% use layered targeting, and 42% use no targeting at all. (Four out of five do perform at least some customer segmentation, though.) This oversight has a serious effect on the bottom line. 51% of marketers say a lack of quality data is holding their e-mail campaigns back. Without data to guide them, they struggle to evaluate customer satisfaction with the frequency and quality of the company’s e-mails. Increasing e-mail quality using data science has measurable benefits. When customers make a purchase through links in an e-mail they spend about 38% more than other customers. 80% of retail leaders list e-mail newsletters as the most effective tool in keeping customer retention rates high. On a smaller scale, personalizing e-mail subject lines increases the open rate by 5%. Triggered messages such as abandoned cart e-mails have an astounding 41% open rate (and remember that 70% retargeting conversion rate from earlier). Using AI in lead management results in 50% more appointments than other methods. Those appointment are shorter and more productive, too, since businesses can target customers who are ready to buy. The overall reduction in call time averages around 60% without damaging customer satisfaction rates. That’s why 79% of the top sales teams use data science to power their lead management. Knowing who the customer is and what they want is key to both marketing and customer service. Data science removes the potential for human biases about customers. Specifically, it looks for what customers have in common and groups them by that instead of imposing arbitrary demographic boundaries. Profiling software analyzes all available data on a company and its customers to find previously unnoticed similarities. These hidden connections can be then used to drive revenue in different ways. They’re particularly good at identifying customers with the highest potential lifetime value or highlighting potential extra services current customers might enjoy. A great intelligent customer profiling success story in this arena comes from video distributor Giant Media. After using data science to build data-driven customer profiles they found 10,000 new leads across the United States. 500 brands were in their desired New York City market. The software even isolated 118 businesses that matched Giant Media’s idea profile and provided contact information fast enough to enable effective sales calls. One theme keeps popping up in sales and marketing discussions: customer experience is king. It’s predicted to be the primary brand differentiator by 2020. 86% of customers value a good buying experience over cost and will pay more for better service. Once they’ve had that positive experience they’re 15 times more likely to purchase from the same vendor again. In short, creating an outstanding customer experience requires knowing what the customer values and being able to offer it on demand. Data science is invaluable here. Chatbots in particular are useful for providing assistance that customers need, when they need it, and in an accessible format. Sales forecasting without modern data science methods takes far too much time. Reports are huge, hard to get through, and don’t arrive in time to help sales staff. As a practical compromise sales staff often rely on wider-scope numbers which are more readily available instead of targeted data on local customers. Data science – specifically predictive analytics – can provide near-real time information on what’s selling, where it’s selling, and who’s buying it. This prepares companies on a structure level to spot opportunities and make the most of them. It increases overall enterprise flexibility. Plus, sales staff can use the information to build better pitches, improve relationships with their customers, and generally make better use of their time. Pitt Ohio Freight Company saw a major boost in sales after applying data science to their supply chain problems. They trained algorithms to consider factors like freight weight, driving distance, and historical traffic to estimate the time a driver will arrive at their delivery destination with a 99 percent accuracy rate. Their customers were highly impressed. Pitt Ohio now enjoys $50,000 more in repeat orders annually, and they’ve reduced the risk of lost customers as well. Pricing is tricky. The goal is to find a profitable price that the customer is happy to pay so as to ensure repeat business. An enormous number of factors affect pricing, and it’s hard for humans to tell what’s important and what isn’t. Data science has no such handicap. It can be applied to customer, sales, inventory, and other market data to uncover what actually influences a customer’s willingness to buy at a specific price. Based on that, companies can find the ideal price to make everyone feel satisfied with the purchase. Airbnb uses a dynamic system based on this concept. The company tracks local events, hotel trends, and other factors to suggest the best price to its hosts. This is a major part of their business strategy since hosts aren’t usually professional hoteliers; that guidance is necessary to keep hosts happy and listing with Airbnb. Some hotels have a more complex system for setting prices. Rates used to be uniform across the board. Changes were only triggered by season or maybe rewards club status. Data science opened the doors to a more egalitarian pricing strategy. Now each user can be shown a customized price based on a number of objective factors. Is the trip for business or pleasure? What rates did the customer receive for past stays? How valuable is the customer as a client? Does the customer have a booking at a competitor which they might be willing to change? Will the customer be using cash or points? Does the customer have past incidents of bad behavior at the family of hotels? Interestingly, customers who caused expensive trouble during previous stays may be shown higher rates to discourage a booking. Marriott, who were early adopters of data science in the hospitality industry, is an interesting case. The hotel chain was generating $150-200 million per year in the 1990s by intelligently managing their Revenue Per Available Room, or RevPAR. It’s still growing at a rate of 3% a year. As a general trend, applying data science to price optimization increases revenue by 5-10%. The most benefit is seen in season-dependent industries such as hospitality. Industry leaders are taking note of these benefits. As a result, data science is fast becoming the preferred way to fuel digital transformation efforts. Global revenues for big data and business analytics were up 12.4 percent last year, and commercial purchases of hardware, software and services to support data science and analytics exceeded $210 billion. Companies who hesitate to adopt data science will soon be left in the dust by their better-prepared competitors. Now is the time to make the business case for integrating data science- before it’s too late. Not sure where to start? Concepta can advise on and customize powerful data science systems to meet your specific needs. Schedule a free, no hassle consultation to find out how!